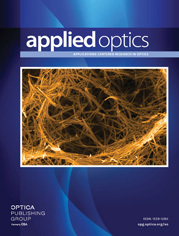 The authors are with Nagasaki University, Faculty of Engineering, Department of Electronics, Nagasaki 852, Japan. Maximum heterodyne efficiency is obtained for an optical heterodyne detection system in the presence of background radiation. When the local oscillator (LO) power is limited, the signal-to-noise ratio in the output is degraded from that of quantum-noise-limited detection by the background radiation noise. To reduce it, an aperture is used in front of the detector. The optimum incidence conditions of the signal and the corresponding maximum heterodyne efficiency are obtained numerically assuming that the signal and the LO fields are determinable and have Gaussian amplitude distributions. The spontaneous emission from the laser amplifier located just in front of the system is taken into account as the background radiation.